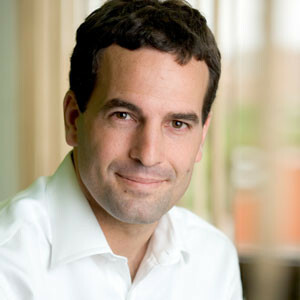 Wences Casares is among the most-trusted proponents of the digital currency bitcoin. Indeed, last year, Casares – a serial entrepreneur who previously ran the digital wallet service Lemon (acquired by LifeLock in late 2013) – raised $41 million for his now 40-person, Palo Alto, Ca.-based company, Xapo, including from Benchmark and Fortress Investment Group. That amount has since been dwarfed by other bitcoin startups – the payments processor and wallet startup Coinbase announced a $75 million round in January, for example – but Casares says he doesn’t need more capital any time soon. Despite a price crash last year and some high-profile security breaches, bitcoin’s growth, and Xapo’s, continues apace, he says. We talked the other day in a conversation that has been edited here for length. When you were raising money for Xapo last year, a single bitcoin equaled $650. Now, bitcoin are worth $225 a piece. How has that price fall impacted your business? For people who’ve been looking at bitcoin for three or four years, that’s not really the story. Bitcoin has done the same thing several times: [jump from], nine cents to $10; $1 to $17; $17 to $30 — all the way to $100. So those who’ve been around along time have seen it go from nine cents to $200. Also, when we raised that money, there were 3 million people using bitcoin. Today, there are 12 million. There were 20,000 transactions; today there are 100,000. Back then, bitcoin represented 50 percent of all cryptocurrency volume; today, it represents 96 percent. But are your customers transacting more now that it’s worth less, or are they continuing to sit on it? There are two very different markets. You have the California and New York market, [where people] own it as a speculative payment and who never do a payment, and [those 10 million people] account for most of the bitcoin. Then you have emerging markets where you see [2 million other] users with a lot less coins, and they’re using it because they don’t have credit cards and that hasn’t changed with the price. Where are people most actively using bitcoin in emerging markets, and is it becoming any easier to use in those places? People are using it in India, Turkey, Indonesia, Brazil. The barriers remain enormous. It’s very hard to use it. But if you have no other way of paying online, you’re willing to go through enormous hurdles. You’ve said that establishing trust is the biggest hurdle that bitcoin faces. Isn’t simply understanding it an even bigger obstacle? Bitcoin looks like the internet before there was a browser. A lot of us tried explaining PCP stack and how the protocol works [etc.] and nobody really started using it because of those explanations. It happened because someone wanted to keep in touch over email or Skype or Facebook. [Similarly], the main use case for bitcoin is micro-transactions, and the internet will look different five years from now when you can move cents and hundreds of users who don’t have credit cards but $5 of bits can unlock certain things that you can’t unlock any other way. Xapo’s business is centered on a bitcoin wallet whose users store the bitcoin in vaults – or physical servers — around the world. What are they like, how many does Xapo manage, and why are they located where they are? These are large facilities where there are sections owned by other companies, with sections that are exclusive to us that we don’t share with anyone else. We have five – one in Switzerland and the others on other continents. They’re not very close because you have to be able to lose one due to a disaster like an earthquake, flooding or nuclear war. Would you ever need more? No. Even if we were 10,000 times our current size, it isn’t like bitcoin take up more space. We have five [servers] because each bitcoin has five keys. Imagine a door that has five keys and you need three to open it. Basically, if you lose one or two facilities owing to natural disaster or theft, you can use the other three to move the bitcoin to a safe location. Many bitcoin companies are tackling numerous things, like Coinbase. It’s a wallet provider. It’s also an exchange. Why are you focused on the wallet alone? Because it’s hard enough to win at one business and do it really well. At the beginning, AOL gave you connectivity and weather and email addresses and financial news, and it didn’t win at any of those things. Bitcoin is the same. A lot of companies do many things; we’d rather build the best wallet in the market.